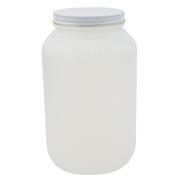 Product Dimensions (l x w x h) : 0x5.81x9.875in 1 gallon capacity, high density polyethylene utility jar with metal closure. Hundreds of uses around the lab. Wide mouth, natural color. 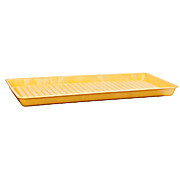 Withstands temperatures to 110ºC. 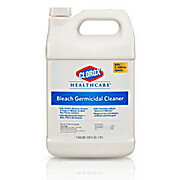 Alcohol most commonly used for cleaning and disinfecting surfaces. 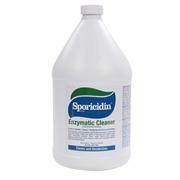 It is used as an antiseptic for simple wound disinfection. 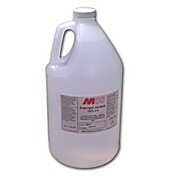 70% isopropyl alcohol is meant for external use only. 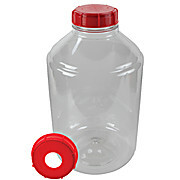 …have fixed position on handle, which allows lid to stay open for easy filling. 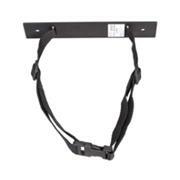 Spring-close cap provides a tight seal. 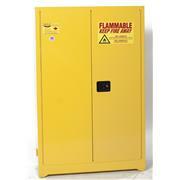 Flame arrester-free spout allows quick pouring of non-flammable corrosives. 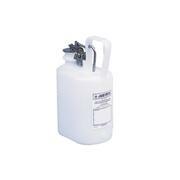 Oval containers have trigger handle for one-handed pouring and make the most of storage capacity. 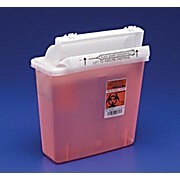 Large Volume sharps containers are designed to accomodate sharps of all sizes. 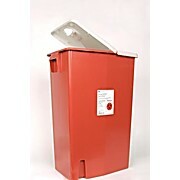 Covidien offers a variety of different sizes and lid designs to meet all of your various sharps disposal needs. 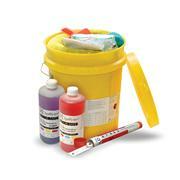 Covidien's Large Volume sizes range from 8 gallons to 30 gallons and are available with sealing gaskets. 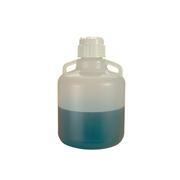 …Polyethylene closures that are threaded and can be drilled to accept faucets ( 1213F25 ). 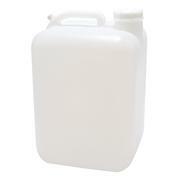 Carboys are made with food grade resins, are leakproof but not considered to be a shipping container. 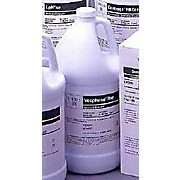 Maximum temperature for high-density Polyethyleneis 110°C. 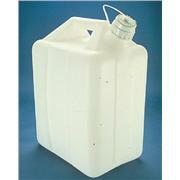 Lightweight with 5 gallon capacity. 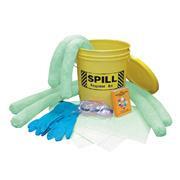 … 4 – 3" x 4' socks 4 – 21" x 17" pillows 1 pair of gloves 1 pair of goggles 1 guide book 5 temporary disposal bags Application Keep these spill kits on hand for emergencies. 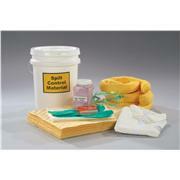 Use the overpacks to store small leaky containers after clean-ups. 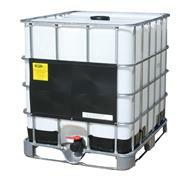 …lubrication, long seal life and maximum pump durability HyVac Oils are available in a number of packages including quart and gallon containers and cases of 12 x 1 quart and 4 x 1 gallon sizes. 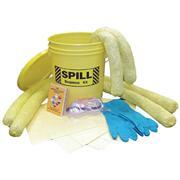 They are also available in bulk quantities of 5 gallon plastic pails and 55 gallon steel drums. 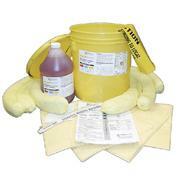 … Note: ANSI Z358.1 requires weekly activation of emergency equipment for a period long enough to verify operation and ensure flushing fluid is available. 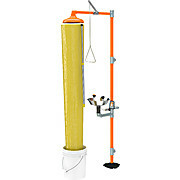 Contents: 48" telescopic aluminum pole, 11-1/2" diameter Tyvek® test chute, 5 gallon plastic pail, and eyewash tester.